Chris likes to tell people that he started flying the central coast of California at age 6, but that he started flying helicopters in 1992. After 8 years of commercial flying and working across the country he became interested in the airshow industry where he received a Level 1 - Unrestricted Formation Aerobatic Competency Card and flew five years for the popular helicopter acrobatic team "Showcopters". He also managed their airshow and sponsor relations, and was the youngest helicopter performer/ member of the International Council of Air Shows (ICAS). Chris founded Specialized Helicopters at the Watsonville, CA airport in July of 2005 with 1 R22 helicopter. He began teaching helicopter students in 1997 and remains an active flight instructor and Check Airman for Helicopter Air Carrier operators today. Over the years, Chris has spear headed all of the innovation at Specialized Helicopters. From the R22-GT glass cockpit trainer to the aerial "cloud" display system. He also offers his clients a strong background in both aviation business and helicopter operations, consulting and business development with innovation and expertise. His extensive back ground with flight training, Air Charter, air tours, aviation maintenance and aviation business combines to create his well rounded approach to a fluid and diverse industry. His personal client list include some of the most influential people and businesses on earth. If you have a question, he is always eager to help. So feel free to reach out, his door is always open and your invited to ask questions. He is not only an airplane CFII but also has his commercial Helicopter Ratings. His friendly and professional manner make him the perfect educator and an all around enjoyable person to learn to fly with. His extensive aviation background offers students world class training from a very broad view. Tom has flown many aircraft in his career and obtained his helicopter ratings over 10 years ago. He now plays an active flight instructor roll with Specialized Helicopters and is available for flight training in both airplanes and helicopters. 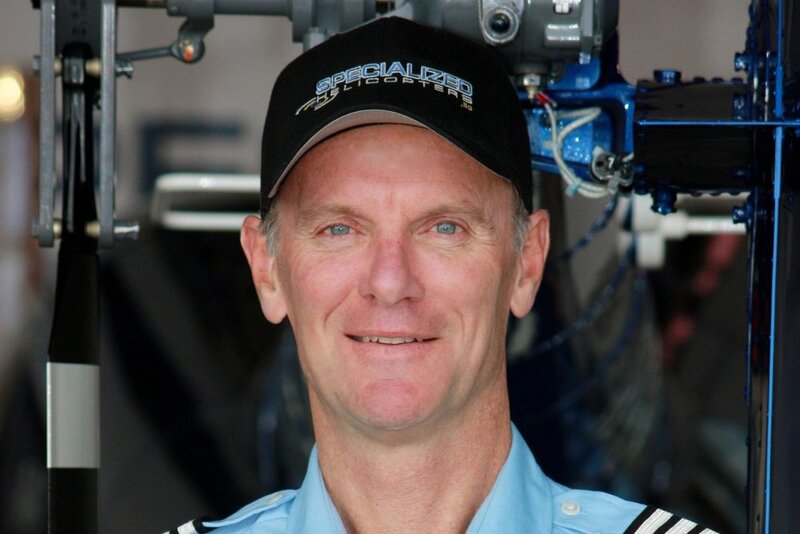 Paul Henrichsen is our senior Helicopter Instructor here at Specialized with over 6,000 hours logged. He has trained numerous cadet pilots for the Santa Cruz Police, Sheriff and California Highway Patrol departments who are currently keeping our communities safe from the skies. When he isn’t training student pilots, law enforcement officers or flying tours, he spends time with his wife creating beautiful art and riding massive waves surfing off the beaches of Monterey Bay. He is currently training a new group of San Jose County Police Officers cadets to be pilots. He’s a native to the Monterey area and ask him to be your tour pilot. His knowledge will blow your mind away on the local hidden facts about movie stars and movies filmed in the area. Brian Stroh was in our Specialized Part 141 “Zero to Hero” helicopter career program and completed the two-year program in just about a year! With all his hard work, studying and training he is our primary flight instructor and became our charter pilot in record time. When Brian isn’t training helicopter student pilots, flying tours, flying charter flights, he spends time with his wife and two dogs. Mike Nelson has been the Chief Pilot for our next-door neighbors at Skydive Surf City for over ten years flying numerous skydive flights. His flying career includes flying acrobatic flights in our Decathlon and Waco bi-plane. When he isn’t flying tours in our multiengine aircraft, performing aerial ash scattering services, he out flying gliders and being a foodie trying different sushi restaurants. Anthony Amador is a Navy veteran who proudly served our country as radio operator for nuclear submarines. He received his A.S. in Computer Science from Manchester Community College and he is in our Part 141 “Zero to Hero” flight training program working towards his B.S. in Aeronautical Science in Rotary Wing. When he is not here, Flying or handling our flight operations , he is learning Philipino and how to ski at near by Lake Tahoe. He is currently working toward his career goal of becoming an Emergency Medical Service (EMS) helicopter pilot. Taylor Goodwin is a U.S. Army veteran who is currently in the Part 141 “zero to hero” flight program. She is working on her B.S. in Aviation – Rotary Wing to continue her goal to become a Search-and-Rescue pilot. When she is not studying, flying, or working, she enjoys all extreme outdoor activities, volunteering with equestrian therapeutic programs, and spending time with friends and family. Clark joined our team in 2017 and brings with him almost a decade of experience in aviation maintenance. His love for machines and focus on completing his work at the highest level is apparent in all of his assignments.